This coming weekend sees the last match to be played in the Stade du Ray before OGC Nice moves to the new Allianz Riviera Stadium. 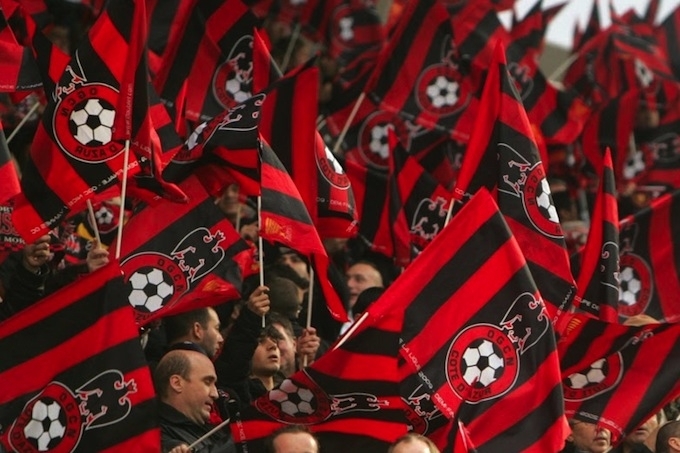 A weekend full of emotion for the loyal fans of OGC Nice as they bear witness to the very last match to be played in the hallowed grounds of the Stade du Ray in Nice, a ground that has served the team and the city for the last 85 years. OGN Nice took up residency in the stadium on 30th January, 1927, and the ground has witnessed many memorable moments during that time, including setting attendance records – the legendary game against Reims in 1959 where 23,000 supporters cheered on their heroes, or the 1992 match against Strasbourg with 20,000 in attendance. To celebrate the end of this era, there are a variety of activities planned for this weekend. Place Masséna will be the home to the Village du Ray this Saturday, 31st August. The village will be open from 10am until 7pm, and there will be plenty of attractions for all the family throughout the day. On Sunday, 1st September, the ‘Dernière Montée au Ray‘ will take place, departing from Place Masséna at 1:30pm. The route will follow the tramline out to Stade du Ray, and everyone attending is encouraged to dress in red and black, the colours of OGC Nice. The final home match to be played in Stade du Ray kicks off at 5pm, against Montpellier. There will be numerous surprises and attractions on the programme for the evening, including a special ‘closing’ ceremony of the stadium after the match – this is only open to ticket holders for the match. 85 ans d’émotion – be part of it!